Why engineers are not getting job offers? Ever thought why engineers are not getting job offers? There are so many reasons behind every rejection. It takes time to learn skills which are required for successful job interviews. Every day I get so many messages from confused fresh graduates and engineers from all over the world who ask me to help then in getting a job. From these messages, it is very clear that they are trying hard to reach out to fellow engineers and they are putting their best efforts in finding a job. But all these efforts are in WRONG direction. 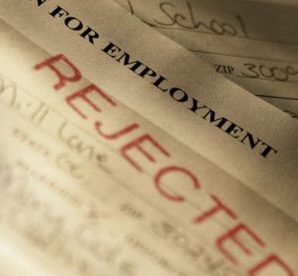 Here I would like to share some common reasons of interview rejection and why engineers are not getting job offers. I have gone through all these phases of life. It hard to understand all these reasons at start of career but over time you start to realize your mistakes. Here i would share my personal experiences. I have seen many candidates who do not prepare for interviews. Interview is just like an exam, if you do not prepare, you will fail. Preparation for an interview includes looking for answers to common engineering interview questions, revising basic concepts of mechanical engineering courses, and dressing up properly for interview. 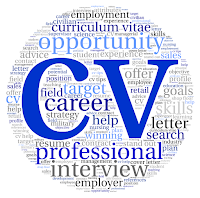 I have seen many candidates who have a general format of CV to apply for all type of jobs. A good engineer will always make changes to his CV according to job description. Recently we are short listing engineering candidates for job interviews in my company. I have noticed so many candidates who applied for all positions with same CV. Is it logical applying for Manager Operations, Assistant manager operations, Assistant manager admin and Assistant operations at the same time? We rejected many candidates for this reason. Always be crystal clear about job position that you want to apply for. Only add relevant information to your CVs and portfolio. Adding too much colors, extra information and irrelevant skills will not make any difference. Always ask questions from your interviewer. Try to learn what is in this job for you? What opportunities of learning do you have? Is it suitable for you? This will help you decide whether the company is right for you. Always prepare for potential common interview questions. Many engineers do not get job offers because they do not give satisfactory answers to some tricky questions. During all interviews, some questions are of general nature while some questions are of technical nature. Lack of job information and knowledge about possible job description gives a very bad impression about candidate. I once applied for a job position in a company dealing with water treatment plants. Reason for my rejection was that I could not explain how I would become a contributing member to this company because I was unaware of job description. Always show confidence in employers’ recruitment procedure. If they have called you for an interview, it means they are trying hard to do it on merit. Always speak truth. Those who are interviewing you, are experienced enough to catch false information through discussions. Feel free to contact me if you have any further questions. I have learnt from my experiences how to get a job and how to successfully pass interviews. Contact me for any discussion about your career. Thanks SIR....U 've provided very good information. Not preparing for the interview is the main reason behind most of the rejections in interviews. Fresh graduates don't bother to revise basic concepts taught in mechanical engineering degree before appearing in interview. They don't bother to learn a little about company's work and portfolio. Without knowing anything about the company where you have applied for a job, is suicidal. Where are the vacancy for mechanicals fresher's ??? It's very useful and basic, fundamental information given which is having more with full filing confidence in engineers. Thank you very much.Sir. Thanks a lot Kalmesh Navi for wonderful feedback. Comments from you guys on my engineering related articles gives me lots of encouragement to do more. thankyou for the detailed info.. i am a mech engg graduate with no job, i have been applying to jobs thhrough naukri and other job sites, but got no calls from them related to mech job.. my resume format to latest..
most of those recruit through online, so how do i make myself land in a company through this..